Welcome to the Couch Club, our weekly column devoted to all things #DCTV! This week, Ashley V. Robinson looks at Supergirl's newest hero, and how this groundbreaking new character could also herald some big things for next year's Crisis crossover. Each of The CW's DCTV shows has a unique point of view, with beats and storylines they excel at in the wake of other shows. The Flash is particularly good at storylines related to family dynamics, Arrow has some of the best fight scenes on television, DC’s Legends of Tomorrow is hysterical and Black Lightning is unsparing in the way it takes on topical social issues. When Supergirl debuted, it made a huge splash, not only because it had a completely amazing pilot episode, but because it was the first of its kind. It was the first live action DCTV show with a female lead. Since then, Supergirl has been at the forefront of representing women powerfully on television. We have Kara Danvers as the classic Supergirl and her human sister Alex Danvers—who is, truly, Supergirl without the powers—who followed on her heels with a powerful queer storyline throughout the second season of the show. 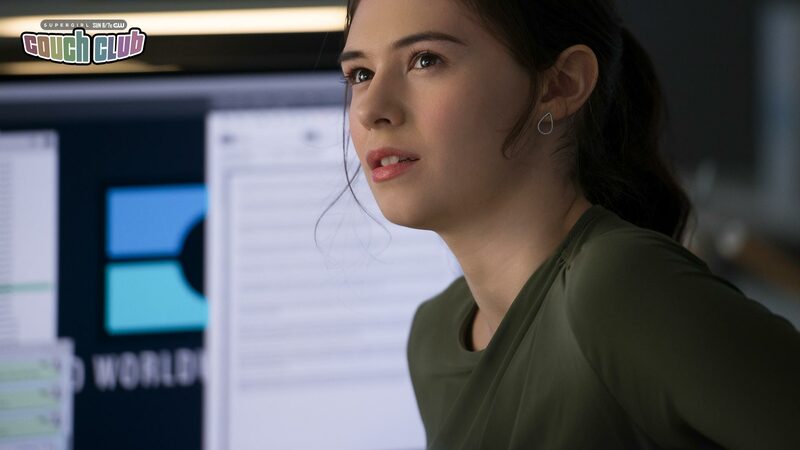 Now, Supergirl has slid into season four with another step toward inclusivity by introducing Nia Nal. By this point, if you’re watching the show, you probably also know her as “Dreamer.” If you’re not watching, you may only be familiar with her from the articles that have cropped up about television’s first transgender superhero. Introducing Nia (and her superheroic alter-ego, Dreamer) onto Supergirl continues the trend of populating the cast with the same diverse scope of people that viewers are likely to encounter in their everyday lives, particularly in a city the size of National City. Supergirl make a strong choice in introducing us to Nia, who's played to perfection on the series by trans actress Nicole Maines, and presenting her to us through the lens of Kara Danvers. The characters share similar trajectories in their personal journeys (what’s up, CatCo!) and the shape of their early explorations of their superhero careers. At a time when minority groups are becoming more and more visible and vocal in the world, Dreamer is a literal beacon. There was probably some conscious thought behind the choice to give Nia the name “Dreamer” rather than “Dream Girl”—both comic book superhero identities that belonged to Nura Nal, the on-panel inspiration for Nia. In addition to embracing the modern world, Supergirl has also built its identity by fully embracing the Legion of Super-Heroes. Many characters who have appeared on Supergirl began their lives making brief appearances before graduating to being full-time cast members. My two most favorite Legionnaries have already shown up on Supergirl (Brainy and Saturn Girl! ), and among their ranks are Nura Nal. She’s an alien (aren’t they all? ), with precognitive powers from the planet Naltor. She underwent extensive training, as tends to be a trope among the capes-and-tights school, but who else have you heard of that trained with Karate Kid, himself? …no, that’s not a joke and no, I’m not talking about Ralph Macchio. But that’s a subject for a different article. Nura kicked around the DC Universe long enough to get a completely rebooted version who changed her civilian name to Nura Schappin. The first version of Nura was known by the moniker “Dream Girl,” which may be reflective of the fact that she was largely defined in the 1980s and definitely feels like a relic by contemporary standards. The rebooted Nura renamed herself “Dreamer” during the events of ZERO HOUR in 1994. Unlike Nia, who on the show really knows what she wants and has a strong point of view, Nura flips flops on her code name. In 2005, she returns to using the name “Dream Girl” when the Legion undergoes one in a string of many, many reboots. Later, during the events of LEGION OF 3 WORLDS, Dream Girl’s precognitive powers tap into prophetic visions of Superboy Prime (that’s the evil Superboy, for those who are only familiar with Kon-El), and the role he will have in a future Crisis. While I don’t believe that Superboy Prime is likely to appear on Supergirl any time soon, I think there’s a lot of interesting potential in this storyline. Elements could certainly be lifted from it and applied to Kara as we are used to seeing it in the show. We do know the Arrowverse is heading for a Crisis about the time of the crossover next year, and we have a pretty powerful Kryptonian as a main cast member. I’m just sayin’. If our Nia version of Dreamer is going to remain a staple of Supergirl, I, for one, am looking forward to seeing how far she is going to fly! I am also looking forward to reading everyone’s predictions for Dreamer’s bright future over on Twitter!